Think that art scenes are limited to international destinations like New York and London ? Think again! 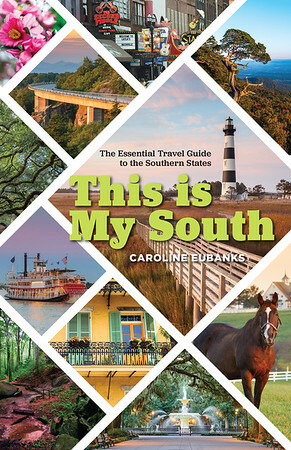 The South has a thriving arts culture, made up of traditional galleries and museums as well as muralists and street artists on the rise. We’ve featured six of our favorite destinations for arts lovers and also recommended some artsy accommodations. This Ozark town has developed its arts community seemingly out of nowhere, thanks in large part to grants and programs from the Walmart company, which is based here. 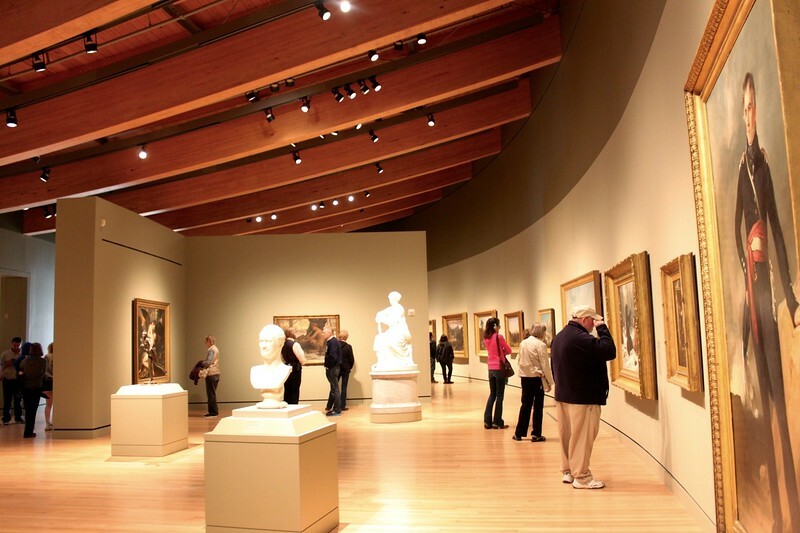 Bentonville is home to the Crystal Bridges Museum of Art, which opened in 2011 thanks to the work of Alice Walton. She recruited famed architect Moshe Safdie to design the three connected buildings that sit atop a natural spring. The collection of the museum spans five centuries and focuses on American works including iconic pieces like Asher B. Durand’s Kindred Spirits, Rosie the Riveter by Norman Rockwell, and Andy Warhol’s Dolly Parton. But the pieces hung in galleries are only part of the story. The Frank Lloyd Wright house was relocated to the site in 2015. The trails also contain impressive sculptures. 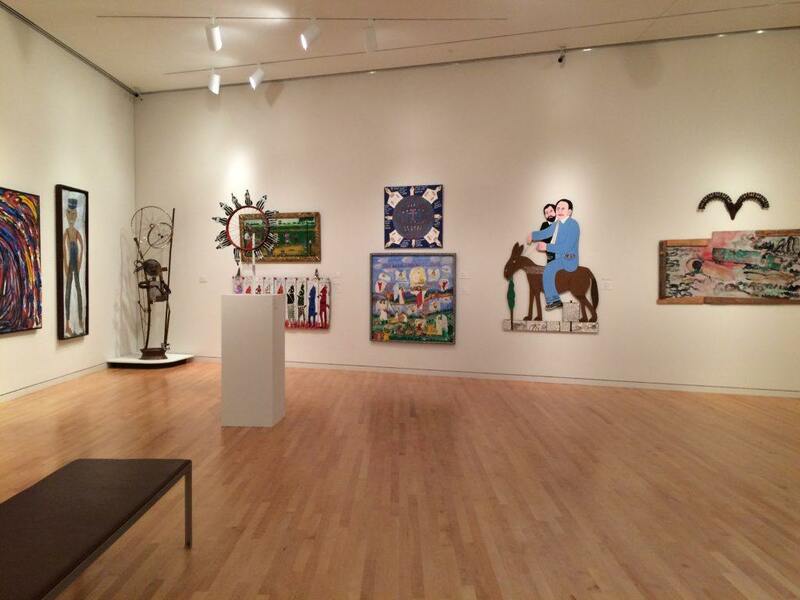 Admission is free to visit the permanent collection and grounds, but special exhibits require a fee. 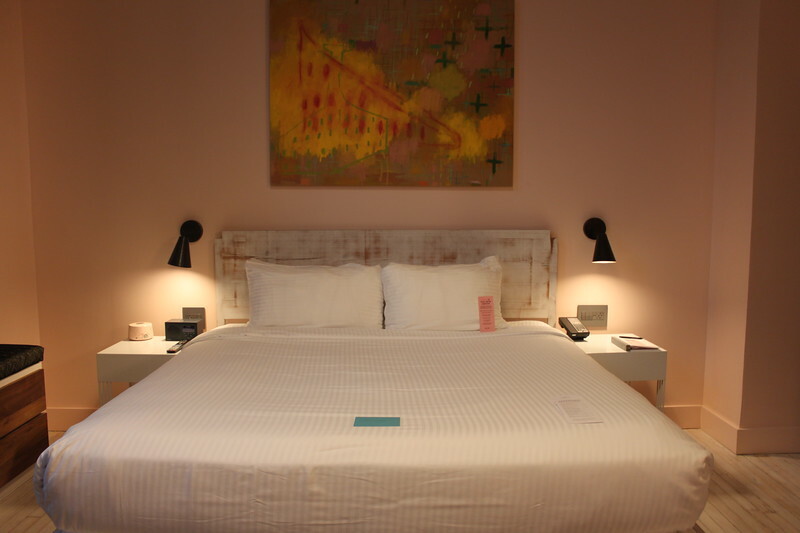 Where to Stay: 21C Museum Hotel is a part of a nationwide chain of art-focused design hotels. They have their own art galleries that showcase a rotating selection of works as well as their signature penguin statues found throughout the property. Each hotel gets its own color and Bentonville’s is lime green. Book your stay here. The college town that is home to the University of Georgia is usually associated with its music scene, which fostered acts like The B-52s and R.E.M. But it also has a thriving arts community, especially with its student population. The Georgia Museum of Art, located on the university campus, features the work of both art students at the Lamar Dodd School of Art and well-known artists. It was established in 1948 and became the state’s official art museum in 1982. The collection spans multiple centuries and continents with pieces from the Italian Renaissance collection. There’s also a focus on American art, specifically regional and self-taught artists like Howard Finster. Lamar Dodd, the namesake of the school, also has works in the museum’s galleries. Admission is free. Where to Stay: The Hotel Indigo Athens takes its design inspiration from the covered bridges found nearby. The environmentally responsible boutique hotel brand has elements that are unique to each location. For example, this hotel has Athens’ own Jittery Joe’s coffee, pastries from Ike and Jane, and local craft beer in their lobby. The rooms are modern and stylish. 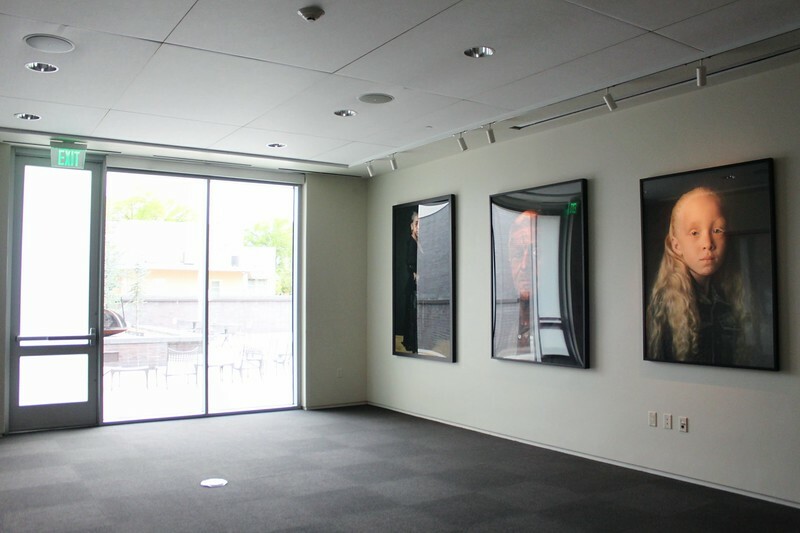 But perhaps the most unique element is the hotel’s adjoining art galleries, The Gallery @ Hotel Indigo and the Glass Cube, which hosts rotating exhibits. Book your stay here. The Gibbes Museum of Art was established in 1858 and moved to its Beaux-Arts building downtown in 1905. The museum’s collection has over 600 pieces, including more than 300 miniature portraits that were a part of the original collection at its opening. One of the best parts of the museum is the works from the Charleston Renaissance, artists that worked in the city from 1915 to 1945. 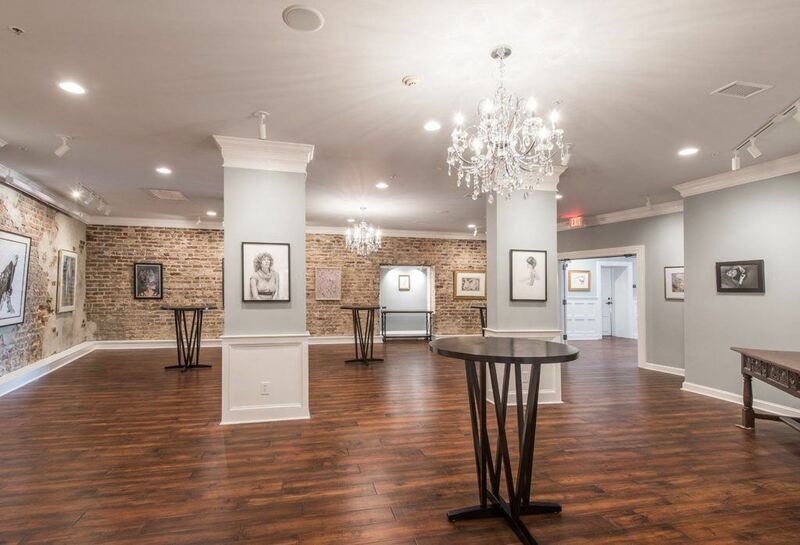 Charleston also has regular art gallery walks where attendees get open access to the galleries, usually with wine. Redux is one of the city’s contemporary art spaces. 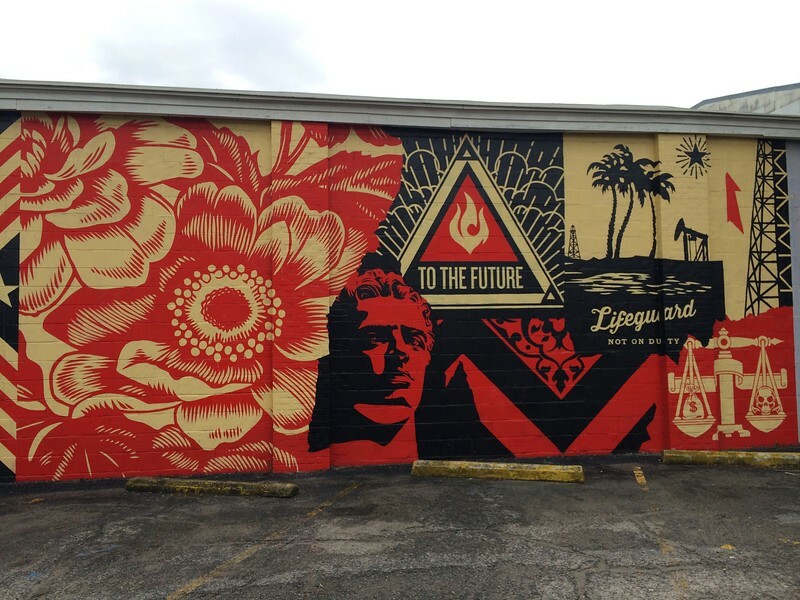 But don’t forget about the street art, especially the murals by Charleston native Shepherd Fairey. Where to Stay: The Vendue dubs itself Charleston’s art hotel and has been named the top hotel in the city and one of the top ten in the nation. Located across the street from Waterfront Park, it was renovated in 2014 and now contains over 300 pieces of original art on its walls. The rooms are set between two buildings that were warehouses in the 1700s. 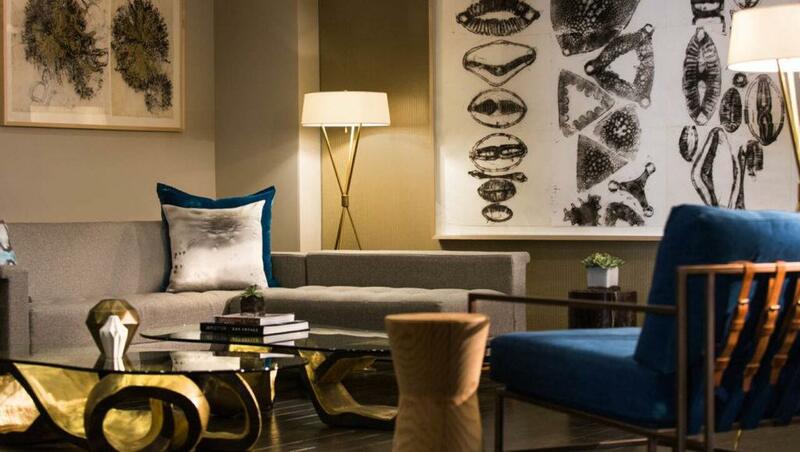 Amenities include a daily art and wine reception, rental bikes to explore the city, and champagne upon arrival. The lobby gallery hosts up to three exhibits per year. They also have an artist in residence, who has a studio within the hotel. Don’t miss the rooftop bar, which has one of the best views in town. Book your stay here. Miami has a well-known art community, but it’s not just during Art Basel, an annual arts festival that takes over the city. Visitors can see works of all styles and periods of art at Miami’s museums, including The Wolfsonian, the Perez Art Museum, the Museum of Contemporary Art, the Bass Museum, the Frost Art Museum, the Lowe Art Museum, and the Rubell Family Collection. 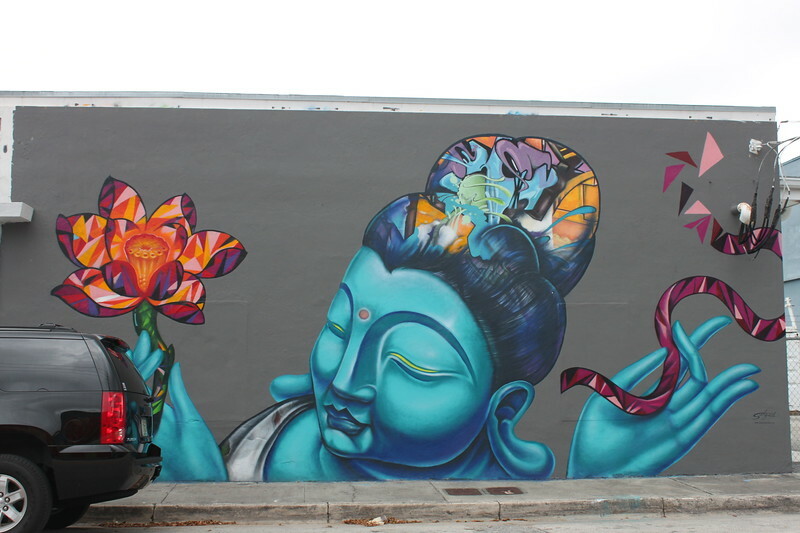 But a lot of what’s currently happening in art is in the Wynwood Arts District. Formerly a run-down warehouse area, this neighborhood is home to famous murals, hip galleries, and of course, shops, restaurants, and nightclubs. 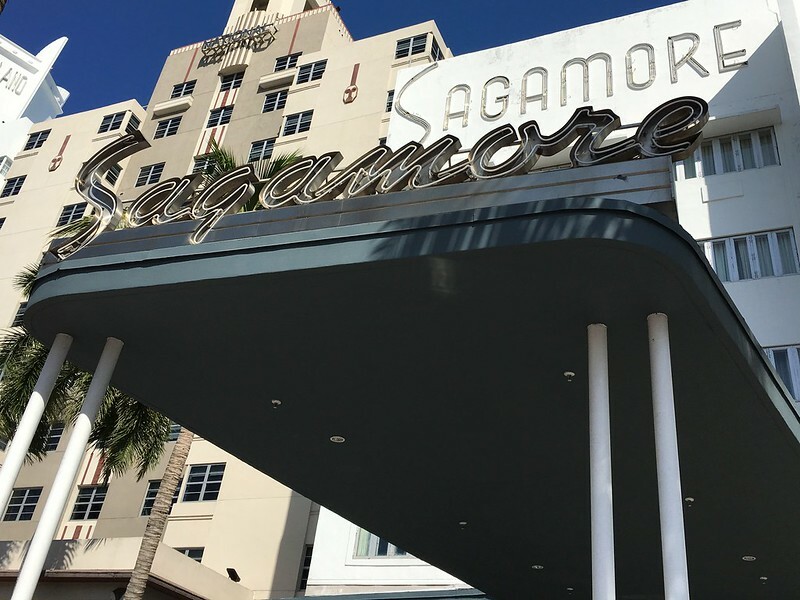 Where to Stay: Located in one of Miami’s Art Deco buildings, The Sagamore is made up of over 100 rooms and suites, including two-story bungalows and oceanfront penthouses. The iconic hotel is steps away from the beach and bustling Lincoln Road Mall and Collins Avenue, home to plentiful restaurants, nightlife, and shopping. Guests have standard amenities like flat screen televisions and fast WiFi as well as access to beach chairs. The hotel also partners with a local gallery to put on exhibitions throughout the year. Artwork can also be seen in guest rooms and the lobby. Book your stay here. 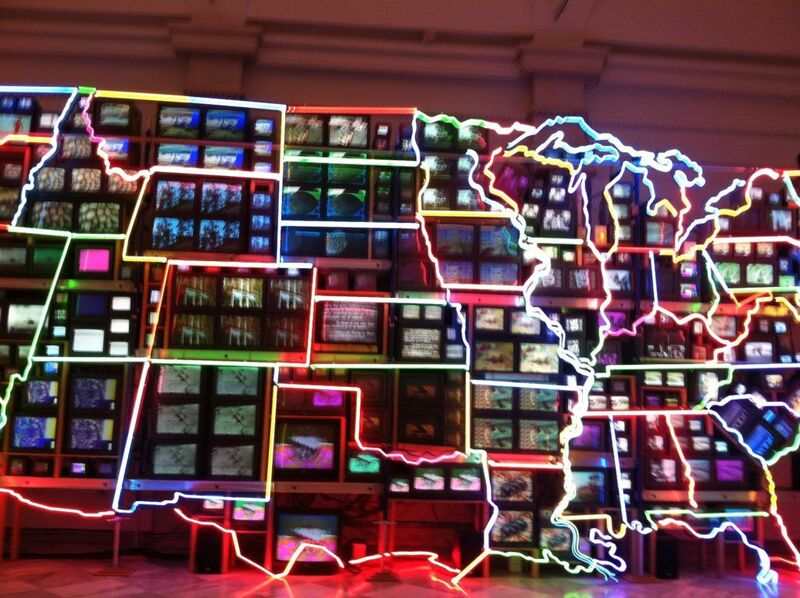 Our nation’s capital benefits from many museums, especially those under the Smithsonian system that are free to visit. The National Gallery of Art and its accompanying sculpture garden feature works that date back to before the Renaissance, including works by da Vinci and Vermeer. The Smithsonian American Art Museum and sister Renwick Gallery have one of the world’s largest collections of American art with pieces from the colonial period to the present. Also featuring a sculpture garden, the Hirshhorn Museum started as the private collection of Joseph H. Hirshhorn. Admire portraits of notable Americans including past presidents at the National Portrait Gallery. The Smithsonian Museum of African Art was added to the institution in 1979 and includes works about and by the African diaspora. While you could easily spend your entire visit in these museums, there are also dozens of smaller ones that focus on different aspects of art history. Where to Stay: The Kimpton Carlyle Hotel at Dupont Circle is decorated in the Art Deco style and contains the amenities the hotel brand is known for like a restaurant, fitness center, daily coffee and wine receptions, and in-room yoga mats. The nearly 200 rooms are pet-friendly and some even contain kitchenettes. The hotel also boasts permanent art installations by international artists and rotating exhibits in partnership with local galleries. Book your stay here. Richmond might not be as well-known for its art scene, but it should be. The sprawling Virginia Museum of Fine Arts was first established in 1936 in what is now the city’s Museum District. 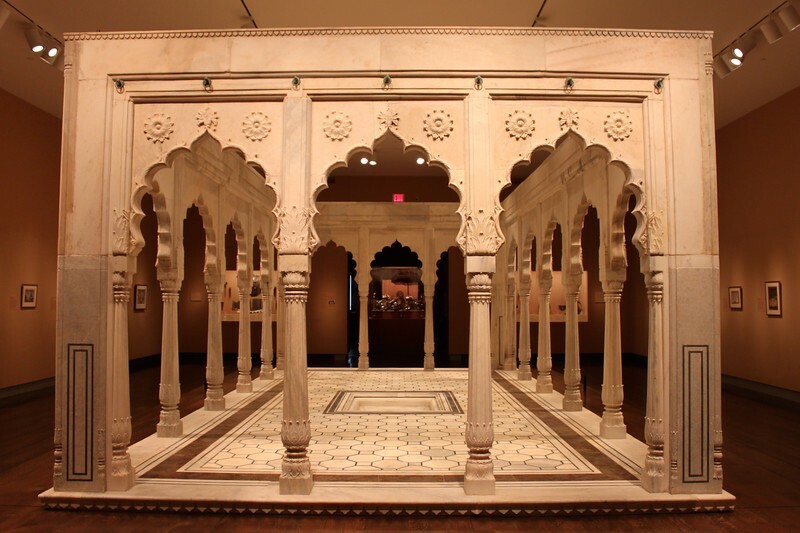 The collection is diverse, including Indian religious art, European decorative arts, and Art Nouveau designs. It also has one of the largest collection of Faberge eggs in the world and pieces by Degas, Goya, Monet, and Sargent. The Institute for Contemporary Art at Virginia Commonwealth University features rotating installations. 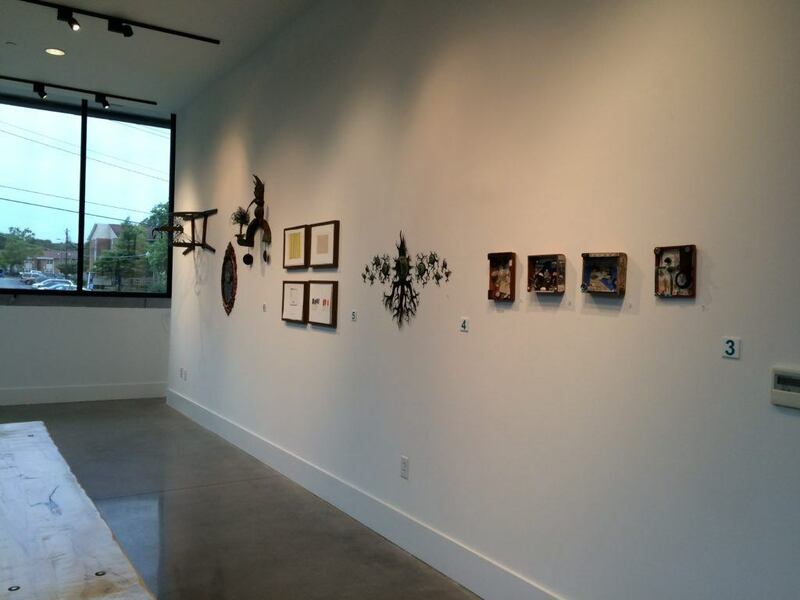 To see what’s new in art, wander the galleries of the Arts District like ADA and Candela, located around Broad Street. Don’t miss the city’s street art, which you’ll see in nearly every neighborhood. Where to Stay: The Quirk Hotel is Richmond’s first boutique hotel, located in the Arts District. Decorated almost entirely in “millennial pink,” this historic former dry goods store has stylishly furnished guest rooms that come with bathrobes, coffee makers, and minibars. Guests can rent bikes and enjoy daily coffee in the lobby. The hotel also has a restaurant, the much-praised Maple and Pine, and rooftop bar. The hotel also has its own contemporary art gallery, which predated the hotel in 2005, and features unique pieces in each guest room. A bedside folder tells guests about the work and its artist. Book your stay here.